Got so carried away packing, I bubble wrapped the cat. Hop over to Renegade Revival. Brimming with vintage apparel from every era! Check out NYE gowns, 50s dresses & menswear. Sale going on too! Oh, don't forget to mention Dammit the cat sent ya! SALE Renegade Revival. Amazing mod dresses! Coupon code MyFriendToastie for additional savings on already reduced pricing. Follow us on INSTAGRAM @RenegadeRevivalVintage for sneak previews, upcoming sales, travel pics and lots of posts about cats! 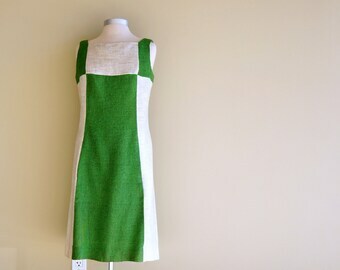 Formal 1960s mod dress by Miss Elliette. Everything is on SALE at Renegade Revival today! Mostly bohemian hippie to biker 60s to 70s apparel for men & women, but also some divine 1940s - 1960s bombshell & VLV, Mad Men style classic menswear & dresses! 1970s blue suede riding suit by Wheels of Man. Made for riding this 70s pants & jacket are perfect for year round! Renegade Revival on @etsy check us out. Diverse vintage fashions for men and women. Vintage cotton plaid dress at Renegade Revival. 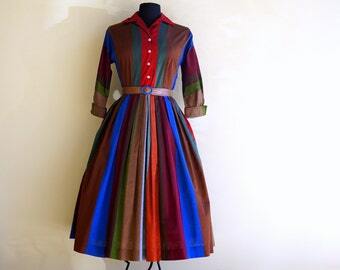 Big stash of 1950s & 1960s dresses, posted to the shop, almost daily until Christmas. Let your inner Renegade come out & play. Check us out today. A diverse collection of men's & women's vintage fashion. Vintage shirtwaist dress at Renegade Revival. Big stash of 1950s & 1960 dresses, posted to the shop, almost daily until Christmas. Let your inner Renegade come out & play. Check us out today. A diverse collection of men's & women's vintage fashion. Vintage new. L'aiglon dress at Renegade Revival. Big stash of 1950s & 1960 dresses, posted to the shop, almost daily until Christmas. Let your inner Renegade come out & play. Check us out today. A diverse collection of men's & women's vintage fashion. 1960s couture leather Beged Or. Original sales slip in pocket RenegadeRevival. 20% off forever discount code When you add @RenegadeRevivalVintage on Instagram. Check out our sale on men's & women's vintage apparel today! New items added almost daily! SALE Renegade Revival. Vintage leather & suede outerwear angle more to come! Come check us out! Huge sale. Renegade Revival Many items up to 30% off Men's & women's vintage outerwear & more. Check us out today! Huge Sale at Renegade Revival. Check out this earthy dress. New Autumn / Fall listings daily. More menswear coming soon. 1920s - 1990s but focusing on the 60s 70s and 80s Drop by RENEGADE REVIVAL today! Great little 50s / 60s sweater girl sweater. Sweaters and much more on sale at Renegade Revival. Come check us out! Renegade Revival! Let your inner Renegade come out & play! Festive Bohemian Hippie Gypsy Festival Dresses & more... Check out the SALE at Renegade Revival 20%-30% off everything until Summers end. Women's & men's vintage apparel & accessories added daily. Let your inner renegade come out & play! SALE extended to last day of Summer 9/22 Everything at Renegade Revival on SALE 20%-30% off! Vintage wool poncho! Perfect for the coming Autumn New listings for men & women added daily! Come check us out! Let your inner Renegade come out & play! Can you believe it! Halloween is almost here. Look at this amazing gothic 1980s Gunne Sax dress. Everything @ Renegade Revival on SALE 20%-30% off! New listings for men & women added daily! Come check us out! Let your inner Renegade come out & play! Can you believe it?Halloween is almost here. Look at this amazing gothic 1980s Gunne Sax dress. #etsy #halloween #vintagefashion Everything black @RenegadeRevival is on SALE until Halloween Come check us out! Let your inner Renegade come out & play! Gothic Vamp Dress by Dina Bar El. Perfect for a Halloween party, clubbing, cocktails or a formal event! Everything @ Renegade Revival on SALE 20%-30% off New listings for men & women added daily Come check us out! Let your inner Renegade come out & play! 1960s Black Paisley Skirt Set w Matching Head Scarf. Groovy 60s vibe for work or play! Everything @ Renegade Revival on SALE 20%-30% off! New listings for men & women added daily! Come check us out! Let your inner Renegade come out & play! 1970s Vintage Hawaiian Maxi Dress Brushed Cotton by Hukilau of Honolulu. Everything at Renegade Revival on SALE 20%-30% off! New listings for men & women added daily! Renegade Revival on @etsy Come check us out! Let your inner Renegade com out & play! Couture 1960s thick crepe baby doll dress. Top quality, custom tailored. Everything at Renegade Revival on SALE 20%-30% off! New listings for men & women added daily! Renegade Revival on @etsy Come check us out! Let your inner Renegade com out & play! Vintage 1950s 1960s Ui Maikai Hawaiian shirt. Everything @RenegadeRevival on SALE 20%-30% off! New listings for men & women added daily! Come check us out! Renegade Revival on @etsy Further discounts for multiple purchases. Message me for details! Vintage 1950s 1960s Surfriders Hawaiian shirt. Everything @RenegadeRevival on SALE 20%-30% off! New listings for men & women added daily! Come check us out! Renegade Revival on @etsy Further discounts for multiple purchases. Message me for details! Pieces from the 30s - 70s next week. Including lots of vintage menswear. RIGHT NOW EVERYTHING IS ON SALE at Renegade Revival including this gorgeous 1950s shirtwaist dress! Such rich earthy colors! Got so carried away packing, I bubble wrapped the cat. Hop over to Renegade Revival. Brimming with vintage apparel from every era! Check out NYE gowns, 50s dresses & menswear. Oh, don't forget to mention Dammit the cat sent ya! Renegade Revival. Amazing mod dresses! Coupon code MyFriendToastie for additional savings on already reduced pricing. Follow us on INSTAGRAM @RenegadeRevivalVintage for sneak previews, upcoming sales, travel pics and lots of posts about cats! Formal 1960s mod dress by Miss Elliette. Everything is on SALE at Renegade Revival today! Mostly bohemian hippie to biker 60s to 70s apparel for men & women, but also some divine 1940s - 1960s bombshell & VLV, Mad Men style classic menswear & dresses! 1970s blue suede riding suit by Wheels of Man. Made for riding this 70s pants & jacket are perfect for year round! Renegade Revival on @etsy check us out. Diverse vintage fashions for men and women. Vintage cotton plaid dress at Renegade Revival. Big stash of 1950s & 1960s dresses, posted to the shop, almost daily until Christmas. Let your inner Renegade come out & play. Check us out today. A diverse collection of men's & women's vintage fashion. Vintage shirtwaist dress at Renegade Revival. 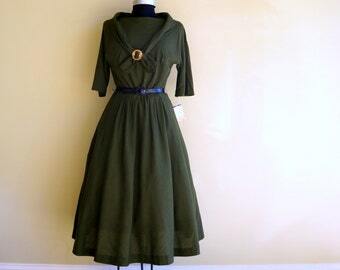 Big stash of 1950s & 1960 dresses, posted to the shop, almost daily until Christmas. Vintage new. L'aiglon dress at Renegade Revival. Big stash of 1950s & 1960 dresses, posted to the shop, almost daily until Christmas. 1960s couture leather Beged Or. Original sales slip in pocket RenegadeRevival. 20% off forever discount code When you add @RenegadeRevivalVintage on Instagram. Check out our sale on men's & women's vintage apparel today! New items added almost daily! Vintage leather & suede outerwear angle more to come! Many items up to 30% off Men's & women's vintage outerwear & more. Check us out today!